Ahn Kyuchul was born in Seoul in 1955 and graduated from Seoul National University in 1977 with a BFA in Sculpture. He was an editor of Art Quarterly from 1980 to 1987, during which time he also participated in the artists’ collective “Reality and Utterance,” in 1985. The artist went to France to study in 1987, later moving to Germany in 1988 to attend Staatliche Akademie der Bildenden Künste Stuttgart. He graduated in 1995 after completing both undergraduate and research programs. He currently serves as a professor at the School of Visual Arts, Korea National University of Arts. 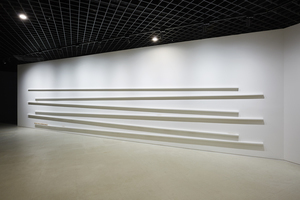 During the early 1980s in Korea, Ahn became critical of the monumental sculptures that were thoughtlessly and repetitively erected without any consideration of their social context. 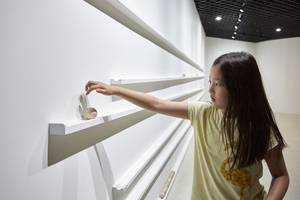 Motivated by his observations, Ahn was compelled to create a small series of paper clay and plaster molds, called Story Sculpture. Through this series of narrative scenes made with simple and widely used materials, Ahn’s work criticized the sculptural norms of the time. 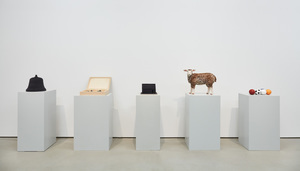 After his studies in Germany, the artist began to develop his use of language as well as his representative “object sculpture” works that imbue everyday objects with new contextual significance. The various strands of Ahn’s practice reflect the artist’s long experience as a journalist. Working for seven years, this professional experience honed his writing skills and conceptual discipline, which today is the foundation for his artistic practice. 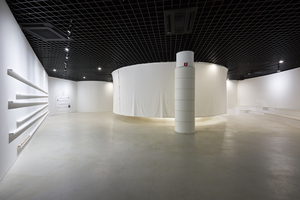 In 2015, Ahn was selected to hold a solo exhibition, titled Invisible Land of Love, as part of the Hyundai Motor Series 2015 at the MMCA, a project that showcases major Korean artists. 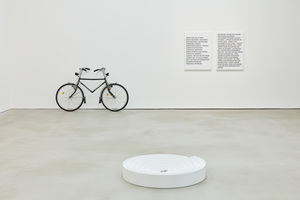 His other solo exhibitions held at major institutions include All and but Nothing (2014) at HITE Collection, Alles hat seine Stunde (2013) at the Goethe Institut, and Forty-Nine Rooms (2004) at Rodin Gallery (later known as Plateau). 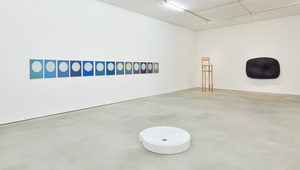 Group exhibitions with the artist include Variation of the Moon (2014) at Nam June Paik Art Center, Roundtable, the 9th Gwangju Biennale (2012), Korean Art-Void (2007) at Leeum, Samsung Museum of Art, and Parallel Life (2005) at Frankfurter Kunstverein. 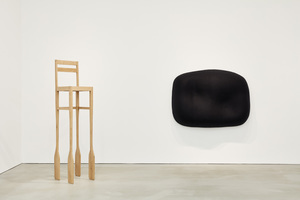 Ahn’s works are in the permanent collections of the National Museum of Modern and Contemporary Art, Korea; Leeum, Samsung Museum of Art; Amorepacific Museum of Art; and Wooyang Museum of Contemporary Art (formerly known as Art Sonje Museum). 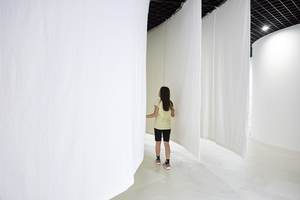 The artist also created the permanent public installation Path of Wind (2010) in the Yeouido neighborhood in Seoul. Ahn Kyuchul has published several printed works including Nine Goldfishes and Water in the Distance (2013), The Man’s Suitcase (2001), and Museum without Painting (1996). He was awarded the 19th Kim Se Choong Sculpture Award in 2005.